Scott’s journey began during her sophomore year at Cal, when she made history by becoming the school’s first female “Mic Man”. 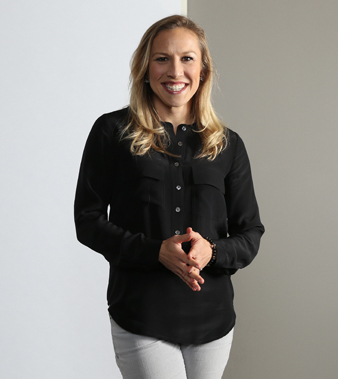 The yell-leading exposure led to her first industry jobs, hosting the info-tainment segment on The Cal Sports magazine and blogging about Cal basketball for the Nike website. The following year, she signed on to write for The Bear Insider magazine and its’ corresponding ESPN affiliated website, becoming the youngest and lone female writer on staff. Upon graduating from UC Berkeley in 2005, Kate took a chance on another aspect of the broadcasting industry, radio. Intrigued by the emphasis on the voice, she soon turned an internship at KLLC-FM (San Francisco) into an anchor/reporter/producer position at Metro Networks. In her five years as a member of the Bay Area staff, she anchored the news for KSFO-AM and KFRC-AM, talked traffic on KCBS-AM and KFOG-FM, and updated sports for KNBR-AM. She moved to KNBR full-time in 2011, working as the morning sports anchor for the Giants’ and 49ers’ flagship for six fantastic years. In 2007, while learning the ins and outs of radio, Kate restarted her television career as co-host of Cal’s highlight show on CSN California. The exposure paid instant dividends. Within months, she was writing and hosting a webcast for the San Francisco Giants, video blogging for Fanhouse, and hosting Cal football’s postgame radio show. 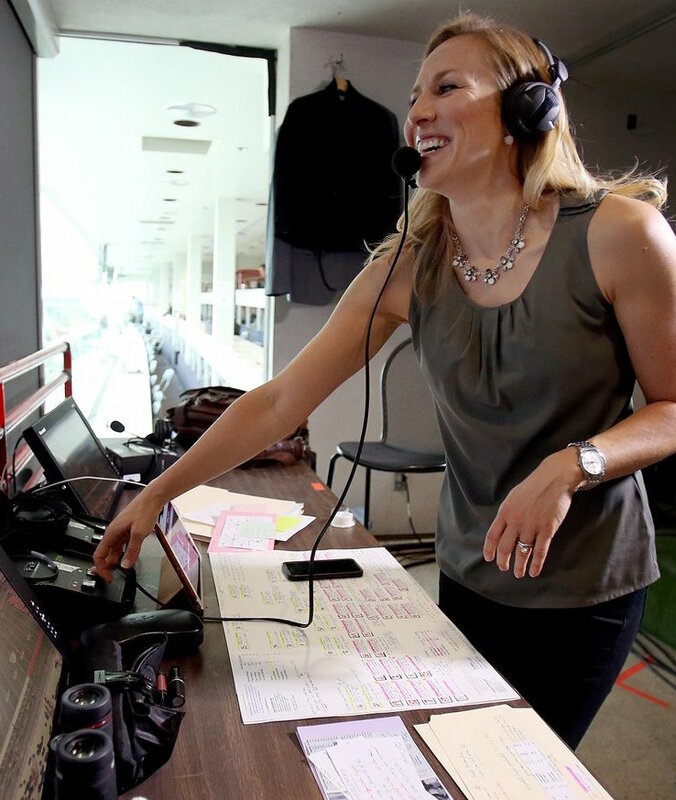 From there, Scott took over the sideline reporting duties for the San Jose Giants and Earthquakes – winning an Emmy for her MLS work – anchored Saturday night sports for NBC Bay Area, and became the sole female play-by-play announcer for high school football in Northern California. In August 2016, she parlayed her high school work into an opportunity to call the 49ers’ first two preseason games on the radio and in September 2017, called Arizona’s season opener against NAU for the Pac-12 Networks. In addition to radio and television, Scott’s done voice work for the past decade. From voicing and producing the TechCrunch podcast for Stitcher Radio, to voicing spots for Bank of the West and a short film for Beat The Streets LA, to stadium PA announcing for the Pac-12 Football Championship Game and the Foster Farms Bowl, Kate feels the demands of and knowledge gained from her voice work have and continue to make her a better sports broadcaster. Scott was born in Fresno, California and grew up in nearby Clovis, California. She currently resides in the San Francisco Bay Area.